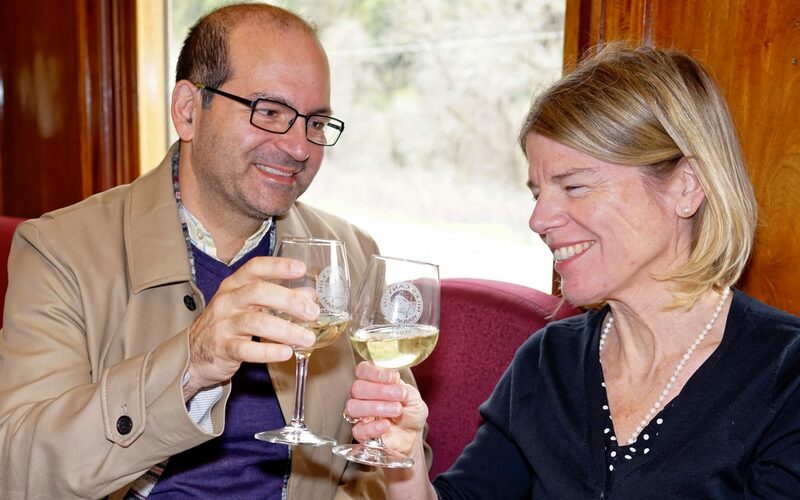 Enjoy an afternoon of fine wine on a leisurely train ride! Experience the magic of a bygone era as you travel through scenic Niles Canyon on a vintage train from Sunol to Niles and back. En route, you’ll be served specially-selected wines from the Livermore Valley, paired with hors d’oeuvres. As one of the Golden State’s oldest wine regions, Livermore Valley played a pivotal role in shaping California’s wine industry. Spanish missionaries planted the first wine grapes in the Livermore Valley in the 1760s. In the 1840s, California pioneers looking for outstanding vineyard sites began planting grapes in the region. Robert Livermore planted the first commercial vines in the 1840s. Pioneer winemakers C. H. Wente, James Concannon, and Charles Wetmore recognized the area’s winegrowing potential and founded their wineries in the early 1880s.